You’ll have them in your church this weekend. Guests. For some of you who lead Bible study groups, you’ll even have one or two attend your group. Is your church ready for them? Are you ready for them in your Bible study group? If you’ve not been in search of a new church home for a while, you may have forgotten what it’s like to be the one doing the searching. I can tell you from experience that it is not an easy process to find a new place to worship and belong to a group. “Be wise in the way you deal with outsiders” the Scripture says. You can start by understanding 12 things guests wish we knew about their visits to our churches. They are anxious. Guests are on a “blind date” with your church and anxiety levels go up during a visit. Guests won’t know your worship songs, how to dress to fit into the culture of your church, nor will they know where to go when they step inside your building (at least not like your regular attenders do). They evaluate everything. Want to make a good impression? Have ultra clean restrooms and a bright and secure area for their children. Trim the grass and hedges. Paint over scrapes and scuffs in the walls. They feel like outsiders. Because they don’t know people at your church, there are awkward periods during which they sit uncomfortably before worship begins. They read your church’s worship bulletin, watch on-screen announcements, but they seldom engage in any meaningful conversations with people. Church members are normally too busy talking with one another to pay guests much attention. They are hopeful. They want to like your church. They really do. They hope that they will be accepted, and that their kids will have a good experience. They hope they don’t have to keep visiting too many more churches week-after-week. They’d like to find a church home. They don’t want to be identified. People value privacy. They are hesitant to give you any information about themselves. If they do, they know they will be on your church’s radar officially, and they may not be ready for an onslaught of calls, letters, or in-home visits. But in time, perhaps they will. They are heavily influenced by their kids’ experiences at church. “How’d you like Sunday School? Did anyone talk to you? Do you want to come back?” are questions parents ask their kids after an initial visit. Kids’ experiences can either make or break your chances of seeing a family again. They are going to take their time to join the church. According to the book Membership Matters, a survey has demonstrated that people join a church on average at the 18 month mark. Patience and follow-up are needed if you want them to join. A one-time letter from the pastor or an obligatory phone call from you won’t be enough to convince them you really value them. Their first impression of the church is hard to overcome if it’s negative. This starts in the parking lot and continues through their first five minutes inside your buildings. Is parking clearly marked? 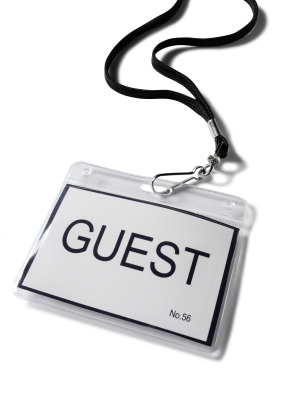 Do greeters actually take guests to classrooms and/or the worship center, or do they simply point “thataway”? Their final impression of the church is hard to overcome if it’s negative. Hopefully you have greeters stationed throughout your worship center, watching for guests and thanking them for visiting after the service is over. Ideally a teacher or group member should thank them for attending their Bible study. An invitation to have lunch after church would be the ideal. Just remember that a whole morning of good experiences can be wiped out if something negative happens in the final minutes a guest is on campus. They have many other options besides your church. You aren’t the only church in town, and yes, you have competition. And don’t expect people to choose your church because of its denominational affiliation. I have Methodists in my Bible study group because we reached out to them, built friendships, and asked them to belong to our group. People often view churches as equal choices, not understanding denominational differences. The church doesn’t get bonus points for being friendly. If you have a friendly church, that’s great, but you don’t get extra points for that. Guests expect you to be friendly. What they really want to know is if they can make friends at your church. Being a guest is an awkward experience you’ve probably forgotten about. Most of us have forgotten how tough it is to be the one looking to fit in. We’ve forgotten how uncomfortable being a guest really is. It might do you some good to visit another church on a Sunday and be that first-time guest to see the process fresh and new.